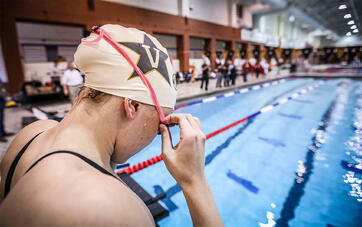 Using TritonWear technology is beneficial for coaches in more ways than one. As multiple users have stated, “it’s like having another coach on deck.” But lots of technologies assist coaches – what sets TritonWear apart is the way it fundamentally changes coaching. TritonWear units record over 15 performance metrics for all swimmers simultaneously during practice and instantly send the data to a single device. All of the compiled data is then displayed in clear visuals for each individual, making it simple to track progress in split time, distance per stroke, turn time, stroke rate, and many more metrics. The software employs a simple yet powerful interface with easily-digestible graphs, giving coaches immediate insights that they can use to help give real-time feedback to swimmers. It’s clear how this technology can disrupt traditional methods of coaching. How often do coaches get stuck with their nose in a stopwatch, yelling out splits for the majority of a main set? 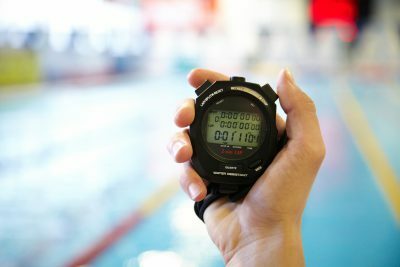 TritonWear gives coaches freedom from these routine tasks, allowing them to put down their stopwatches and give each individual swimmer more attention. Traditionally, coaches can get stuck collecting metrics for one swimmer at a time and lose track of the rest of the swimmers in the pool. But with TritonWear, coaches have the assurance that data is being collected and compiled for all swimmers in the pool simultaneously, giving them the space to observe more of the action. As Jeremy explains, it’s much more efficient to be able to watch the entire practice unfold and then pull up data for specific swimmers based on observations. “I really like having everybody’s information instantly accessible for myself during the workout, so that I can relay it back to the swimmers.” Because data is collected in real time, a coach can simply pull it up on his or her tablet and immediately give valuable feedback to swimmers, resulting in improved performance mid-practice. TritonWear is also used as an educational device outside the pool. Brent Mitchell of Metroplex Aquatics teaches his swimmers the importance of stroke efficiency with the help of TritonWear data. He tasks swimmers with determining what stroke length creates the most power per stroke; the stroke index metric, which TritonWear calculates automatically in real-time, is an accurate indicator of efficiency. Another benefit to using TritonWear as an educational tool is improved athlete-coach relations. “It’s easier to talk to swimmers because they can see all of the variables that I see when they’re swimming,” Mitchell says. He’s found that TritonWear gets his swimmers asking better questions about their swimming, and increases the level of mutual trust since there is hard data to back up his observations; in this sense, the technology fundamentally changes the way coaches and swimmers interact. “As a coach, I’ve always been able to do things on a feel. But now, I’m able to look at the numbers to back up what I saw.” TritonWear gives him an extra layer of confidence in the decisions he makes. But one of the most valuable functions of TritonWear is in its long-term application. Data can be uploaded to an online database so that swimmer progression can be tracked over the course of an entire season. This makes it easy to identify areas of weakness in a swimmer’s training so that real improvements can be made. When analyzing data on the app, Bruno Langlois, head coach of the Bergens Swim Club, noticed some inconsistencies in the pacing and stroke efficiency of one of his swimmers. After addressing this weakness using the technology to monitor and tweak Ariel’s metrics, she went on to win the Norwegian National Championships and break a junior national record.